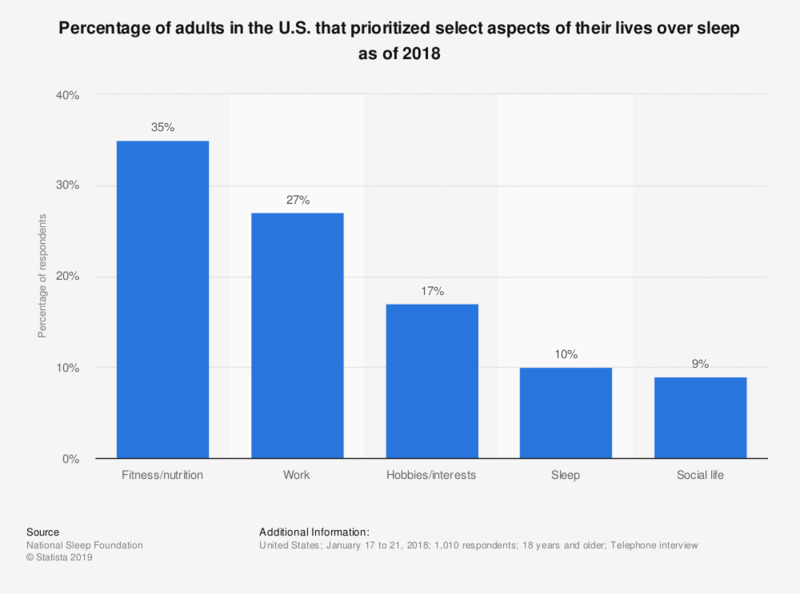 This statistic shows the percentage of U.S. adults that prioritized select aspects of their lives over sleep as of 2018. According to the survey, fitness and nutrition were the highest priority among 35 percent of the survey respondents. Statistics on "Sleep in the U.S."
Overall, how would you rate your own sleeping comfort? On what type of mattress do you sleep at home? How many hours of sleep do you need to function at best during the day? How likely or unlikely are you to go to bed really late so the weekend feels longer on a Sunday night?